Paléo Festival Nyon exists since more than 30 years now after it started very small in a local room of the municipality of Nyon in the canton of Vaud. With the years passing, it gained popularity around the world and grew up to become Europe’s biggest open-air festival. 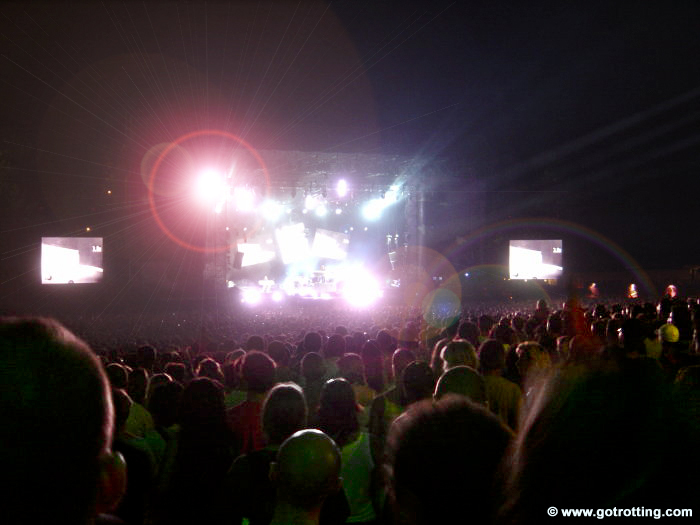 Through experience, excellent organisation and exceptional participants, it achieved the reputation of being the most popular and biggest live music event in Europe. Nowadays, the Paléo Festival Nyon features, during over a full week, more than 120 concerts of any music style you can think of, such as pop, rock, world music, classic music and recently even electronic music. A quick glimpse at the festival’s program of 2012 reveals international artists like Sting, The Cure, Lenny Kravitz, Garbage, Manu Chao, Miles Kane, David Guetta, Dionysos, Franz Ferdinand, Justice Live and many other popular artists and bands. The line-up for the 38th Paléo Festival Nyon will be revealed on Tuesday the 16 of April 2013. This live musical event is located in Nyon, a small but pretty city in southwest Switzerland founded long time ago by the Romans. Nyon is well known for being home for the headquarters of the Union of European Football Association (UEFA). It is situated 25 kilometers from Geneva‘s airport and —just like Geneva itself— it lies on the shores of Lake Léman, making it a very pleasant place to stay during the festival. Below are listed the official concert dates for the 39th Paléo Festival Nyon. It is possible to get tickets for single dates or for the whole week. Tickets will be available for sale from Wednesday the 9th of April 2014 at noon. If you would like to attend the Paléo Festival Nyon, make sure you buy your tickets well in advance of the event. Tickets tend to sell out already three months before the event. If you are planning to stay in the region, keep in mind that Nyon is a small city and very busy during the festival. We advise you to book your accommodation as soon as possible, to avoid disappointment! If you would like to know more about the Paléo Festival Nyon, you can also check its official website. It contains all the information you will need on how to buy tickets, how to reach the festival, the detailed artist program and any other questions you might have. You will also find some pictures from the previous festivals, so that you can get a feeling of this gigantic event. Visit the Paléo Festival Nyon official website.